Concern about Environmental, Societal and Governance (ESG) issues and their implications for the long-term sustainability of businesses has been around for a long time. I wrote on this theme frequently in four years of writing under ‘Leadership’ on Forbes - have a Google. But while ESG appears to have risen on the corporate agenda, there have been many reasons for prevarication on urgency. Now, as 2018 heads for a close, we have #climaterisk and #millennials - two material reasons for ESG’s prominence. 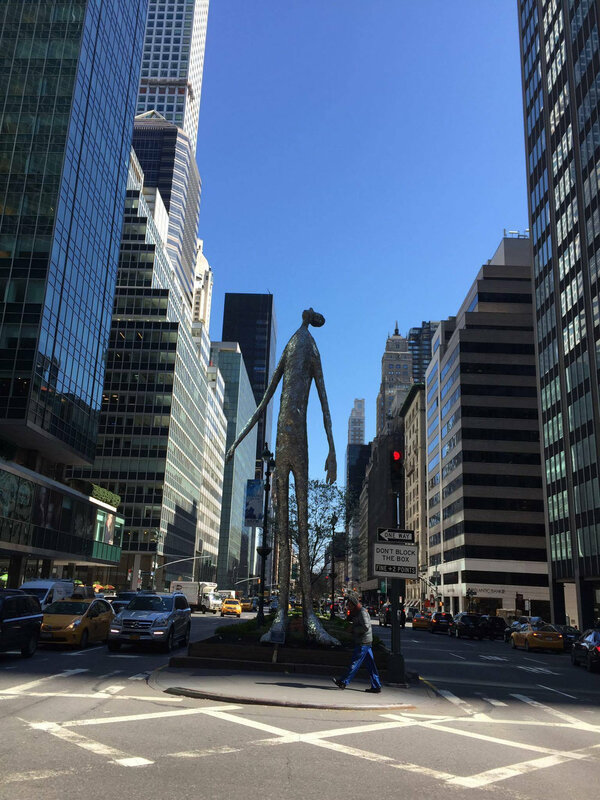 In an urgent need to identify what we want from capitalism in challenging, unequal and divisive times, it is clear that we need not only to redefine the duties of care for company directors, but insist on genuine investor stewardship for better corporate governance and real and lasting change. It’s all about risk, not a nice-to-have sense of planetary awareness when it comes to ESG. The Inter-Governmental Panel On Climate Change (IPCC) made that clear, earlier this month, with the publication of its latest report. Yet just days after its publication and widespread dissemination by the media, the sense of urgency appeared to pale in favour of political expediency. As a UK High Court ruled that energy firm Cuadrilla could begin fracking again after a moratorium imposed in 2011, Caroline Lucas, Green MP, spoke up on mass protest. These events are inter-connected, but they are not always reported in the media as if they have a connection. Which means that if you are anti-fracking, your stance might be depicted as ‘lefty liberal, and possibly misconstrued vegan’, not as concern around long-term risk. A bit harsh as a description perhaps, but as a caricature it is recognisable. In reality, this is ESG, and it is also climate risk. Concern about climate risk has escalated to the point where a cacophony of disparate voices is now loudly singing the same message. Research from NEST just out suggests that UK savers want pensions with strong environmental and social credentials. “A potential £495bn will flow into workplace pensions over the next twelve years, making workers more powerful shareholders with a major stake in how companies and markets are run. They’re telling us they want this money invested responsibly, which could improve the environment and society they’ll live and retire in as well as their future bank balances” said Diandra Soobiah, head of responsible investment at NEST, on the findings. The latest Responsible Investing survey from RBC Global Asset Management earlier this month says 90% of institutional investors believe ESG integrated portfolios are likely to perform as well or better than non-ESG integrated portfolios. More than 50% of all respondents who incorporate ESG factors into their investment approach say they consider this to be part of their fiduciary duty – double the percentage who said so last year. Earlier this year, UK Members of Parliament made it their business to find out how the country’s largest pension plans manage environmental risks. By September, the government Department for Work and Pensions had introduced new regulations for pension funds. Under these, (due to come into place from October next year) trustees who disregard the long-term financial risks or opportunities from ESG will have to justify their decision in terms of their investment returns. Andrew Bailey, FCA CEO, gave a speech on trust and ethics today, in London. “The judgement to trust is not an easy thing to identify. It contains an expectation of future behaviour, an identification of common interest and values and the development of reputation”, the speech as written said. I think that’s an excellent definition of the “judgement to trust”. Trust is, after all, that elusive holy grail we keep looking for in order for our businesses to make sense for society. It is sounding a lot like paying attention to ESG is essential to gain that trust, particularly with the next generation - covered here on Forbes. So how do we ensure that we do it, going forward? I attended a book launch in London the other day, with the High Pay Centre. Deborah Hargreaves, founder and director of the Centre, was launching her new book on executive pay, and in conversation with John Plender of the Financial Times. At one point, talking about how we fix what is clearly a broken capitalism, Mr Plender talked of ‘stewardship’ as a potential answer. Real investor stewardship - and in a moment an example to suggest why it is not real at the moment - coupled with a better definition of the duties of company directors is clearly a good way forward. It’s called holding companies to account. We need a lot more of it. As for director’s duties, the International Corporate Governance Network (ICGN) has just released new Guidance on Investor Fiduciary Duties. “ICGN is under no doubt that investors should promote the long-term performance and sustainable success of companies and thereby integrate the impact of ESG risks and opportunities as part of their stewardship activities. It is part of an investor’s fiduciary duty to take into account all information which helps to mitigate risk (or preserve value) on the one hand, while identifying sources of wealth creation (or enhance value) on the other” said Kerrie Waring, ICGN’s Chief Executive Officer. This new guidance “extends the concept of fiduciary duties beyond ‘care’ and ‘loyalty’ and helps investors to understand how ESG relates to long-term systemic threats that companies face and which can impact overall economic development. This might include financial market stability, regulatory and fiscal policies, technological disruption, environmental damage, and social risks prompted by wealth inequality ” she added. It is worth noting that ICGN has included ‘technological disruption’ in ESG - which makes perfect sense. If we are going to talk about a ‘Fourth Industrial Revolution’ , we must acknowledge that ‘environment’ is a whole new scenario, and includes digital transformation. 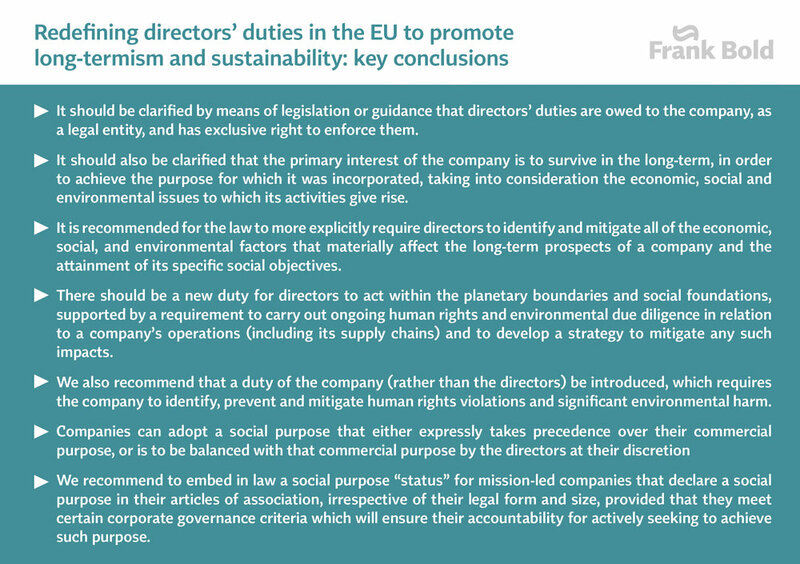 As for company directors, I draw your attention to the proposals made recently by Frank Bold to the European Commission on redefining directors’ duties. Both redefinition of these duties and better investor stewardship seem essential steps if we are to move forward to create businesses fit for the societies we choose to live in.